Corporate duplicity, it seems, knows no bounds. First, ExxonMobil misled the public about climate change for years, even as its research echoed the growing scientific consensus that global warming is real and caused by human activity. Then, while various states attorneys-general launched investigations of whether Exxon deceived shareholders and the public to protect its profits, the Wall Street Journal published 21 opinion pieces about current or potential Exxon investigations, all of which were critical of government entities investigating Exxon. We now know, thanks to a study by two Harvard University researchers, Geoffrey Supran and Naomi Oreskes, that Exxon acknowledged that climate change is real and human-caused in 83 percent of peer-reviewed papers and 80 percent of internal documents. Yet, 81 percent of editorial-style advertisements it placed in the New York Times from 1989 to 2004 expressed considerable doubt. Has yet to publish a single editorial, column, or op-ed in support of investigating Exxon’s behavior, and many of its pro-Exxon opinion pieces contain blatant falsehoods about the nature and scope of the ongoing investigations being conducted by state attorneys general. 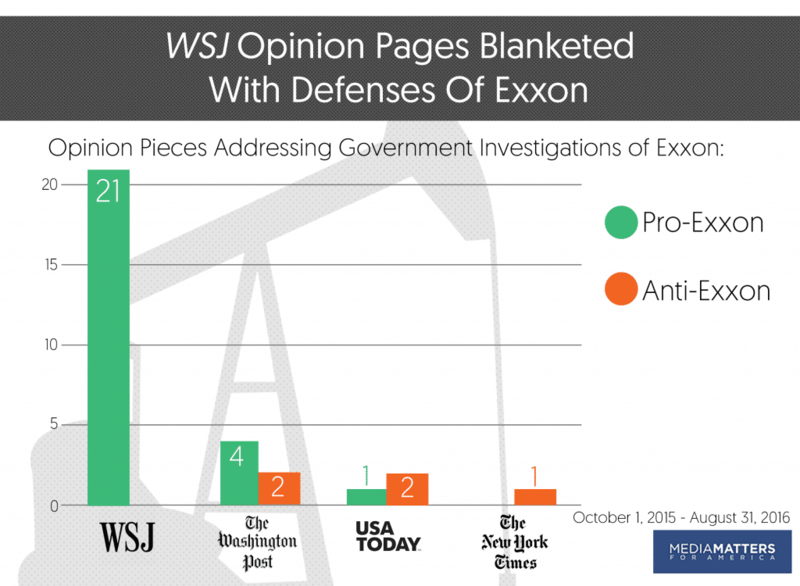 By comparison, the Washington Post published six opinion pieces about government investigations (4 in favor of Exxon, 2 against), USA Today published three (1 for, 2 against), and the New York Times published one (against). 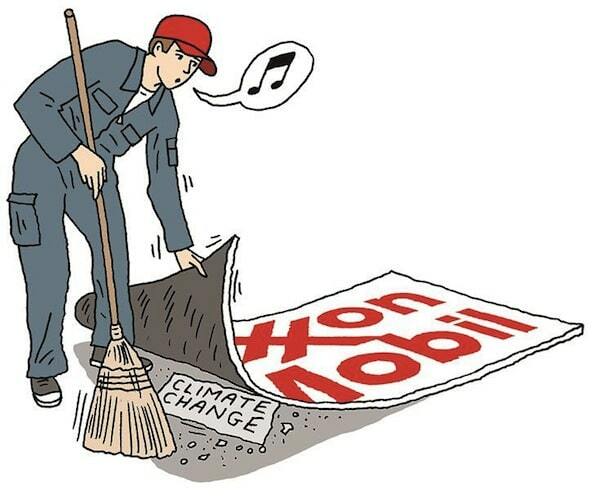 Clearly, in the case of climate change, both ExxonMobil and the Wall Street Journal have been engaged in pretty slick maneuvers in order to protect their profits.